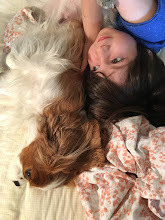 Long-time readers will know that one of my central preoccupations as a writer has been the predicament of the artist who, for one reason or another, has been sidelined from the mainstream current of his day, and who struggles with a vision that goes neglected. The majority of essays in Persist, indeed, address that very subject. Its subtitle tells the whole story: "In Praise of the Creative Spirit in a Wold Gone Mad with Commerce." Coincidentally, we saw two movies about artists caught in that predicament at the weekend, one drama and one documentary. 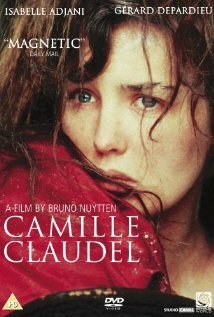 The drama was Camille Claudel--the DVD version of a 1988 film loaned to us by a friend, with Gerard Depardieu in the role of the (august!) Auguste Rodin and Isabelle Adjani as Camille, the sister of the poet Paul Claudel and a talented young sculptor who became, first, Rodin's apprentice, then his impassioned mistress. Depardieu plays Rodin with understated panache as the "great artist," but he is not wholly unsympathetic. He manages to make his passion for the young woman seem quite genuine, but he eventually chooses to reject her when she becomes pregnant and demands that he abandon his long-standing relationship with a woman closer to his own age. This is the mainspring of the plot, of course; it drives Camille into, first despair, then what was in those days (early 20th century) diagnosed as madness. It mirrors her relationship with her work as an artist. She considers it a great achievement, early on, to have Rodin sign one of her sculptures as if it were his own. As an apprentice in his studio, she worked to carve the hands and feet on many of his figures; she was the source of some of the ideas, and certainly his inspiration. But she found it difficult to separate from him as an artist, to shape her own vision and find her own voice. She was accused--by Rodin as well as others--of "copying" the master. And, after his abandonment, worked more and more desperately to find that voice as she sank deeper into resentment and a consuming inner rage. In a climactic scene, she destroys the remaining work in her studio. Camille's "madness" took the form of self-neglect and isolation. At her brother's bidding, she was institutionalized before the start of World War I, and remained in an insane asylum for more than thirty years, until she died during World War II. In today's post-feminist world, an artist of this talent might not have been so easily driven out of her mind by, on the one hand, the overweening ego of a male role model and, on the other, by a social environment that so heavily favored one gender over the other. Camille was surely a proto-feminist, but her efforts cost her dearly: her reputation and, eventually, her sanity. Rodin, on the other hand, sailed on to glory. The documentary was something else again, a phoenix arising from the ashes. Searching for Sugarman is currently still in theaters, and we were glad that friends insisted we should go to see it. 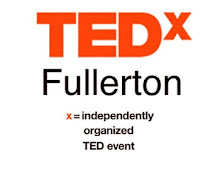 We might otherwise have missed a genuinely great experience. It's the story of Sixto Rodriguez, a musician barely known and utterly forgotten in this country, whose original vinyl records somehow reached a nascent audience in South Africa at the time of apartheid and took root there. Unbeknownst to the singer himself, his reputation grew into superstardom in that distant land, where he was rumored to have died by suicide, on stage, in a grand final gesture of defiance. In pursuit of anything they might learn about him, a couple of devoted fans discover that their hero is in fact still very much alive, and living as a construction worker in Detroit. They bring him over to South Africa for a triumphant series of sold-out concerts. ... was released in 1970, was received with apparent indifference in the United States. With little or no radio play time, it disappeared rapidly below the horizon and a second album, "Coming from Reality," fared no better. Facing reality, the singer left the music scene without apparent rancor for the solid, working-class life of a family man; his three daughters, featured in the movie, are an absolute treat. Rediscovered by his South African fans, he takes to the stage again, after three decades, with an ease and a calm confidence in his material--not to mention an engaging modesty--that proves utterly charming. Then returns to his extremely modest urban life, unchanged by the hero-worship and the idolization of his talent. Here's an artist whose talent went ignored in favor of others who had a greater stake in fame and fortune, or knew better how to get them. If you listen to "Cold Fact," I think you'll agree that the talent was enormous. We may be sad that Rodriguez chose to put it on the shelf and get on with the realities of his life, but the movie makes it clear that he was, and remains, entirely comfortable with that choice. A man of unquestionable strength and integrity, of what is often called "rugged" good looks and gently self-deprecating humor, he puts to shame the self-promotional antics we associate with the successful artist on the music scene today. The long, sad list of suicides and self-destruction in that world is all too well known. The mainstream leads to outlandish money and celebrity. The story of Rodriguez offers a salutary contrast to that world. The man is simply admirable. Don't miss this movie, if you get the chance.